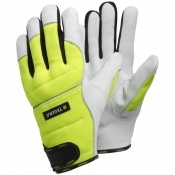 The SIP Protection Long Chainsaw Gloves 2SA4 are designed to safeguard the hands and lower forearms when operating a chainsaw. Featuring anti-cut protection in both hands, the SIP Protection Long Chainsaw Gloves are ideal for heavy forestry tasks such as tree surgery. 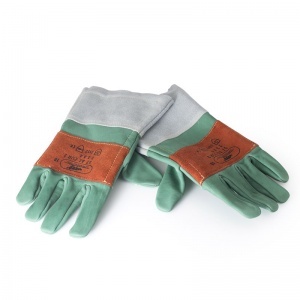 The gloves are made from 100% full grain leather with reinforced stitching and also are water and oil repellent, which results in better grip and warmth. The SIP Protection Long Chainsaw Gloves contain a protective inlay that runs from the top of the hand to the lower part of the forearm. 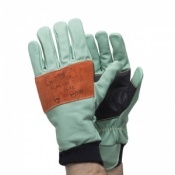 The inlay protects the hands and wrists from the chainsaw, with tests showing the gloves will resist tearing when in contact with a chainsaw moving at a speed of up to 20 metres per second. 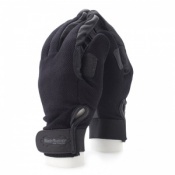 This protective layer features in both gloves and is complimented by a tough patch of leather on the top of each hand as well as reinforced Kevlar/aramid stitching for added stability. 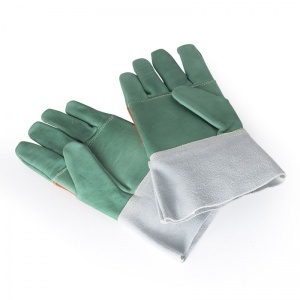 The gloves have also been given a hydrophobic treatment to make them oil and water repellent, meaning that grip is improved and with it the chances of an accident decreased. 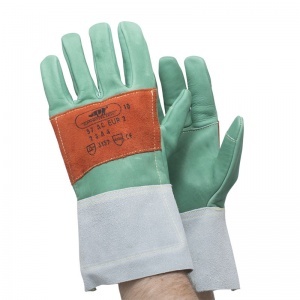 The SIP Protection Gloves also achieved a Class '1 (up to 20m/s) rating in line with the EN 381-7 requirements, which are specific to chainsaw gloves. Thanks for the very rapid delivery of the gloves and forearm protectors. Both of good quality.